Hi there! 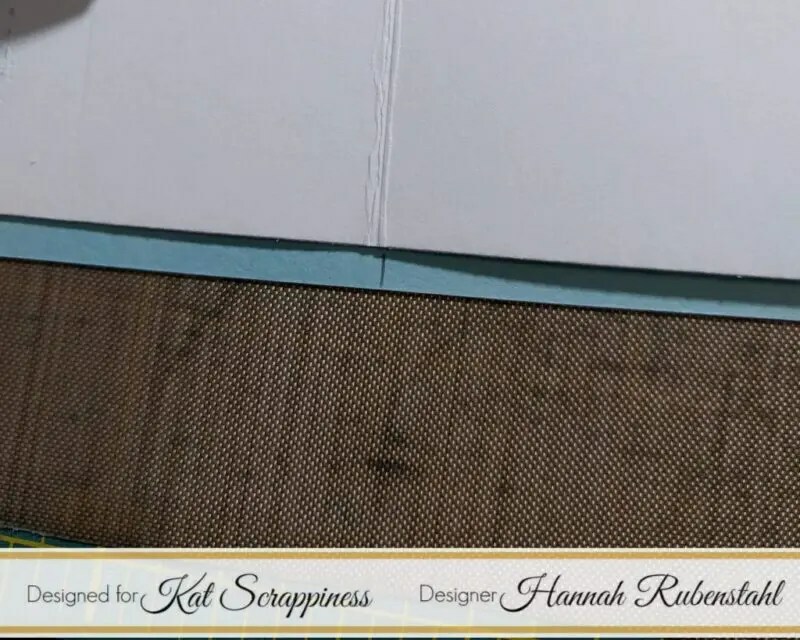 Hannah Rubenstahl here, from Fanciful Spaces! 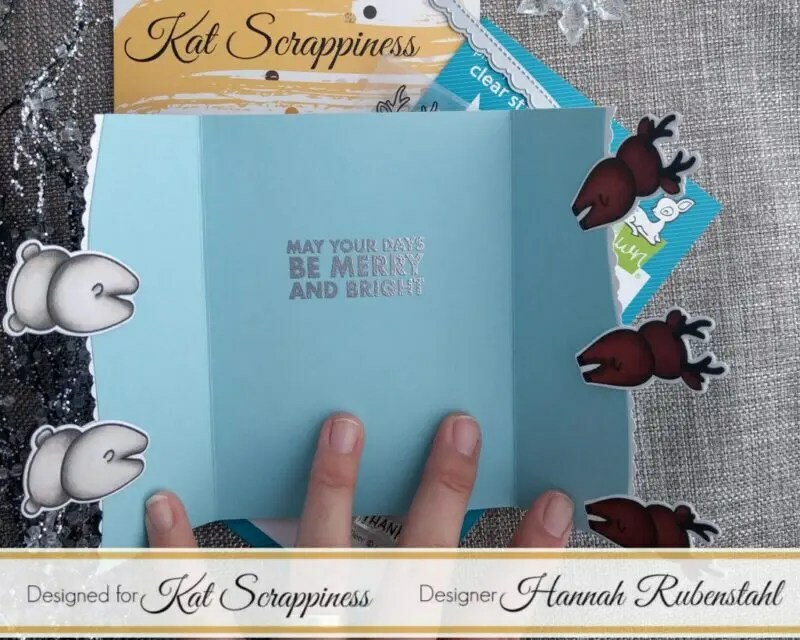 I can not believe that this is my first Kat Scrappiness blog post for 2018! I am so excited to see what this new year brings to us! 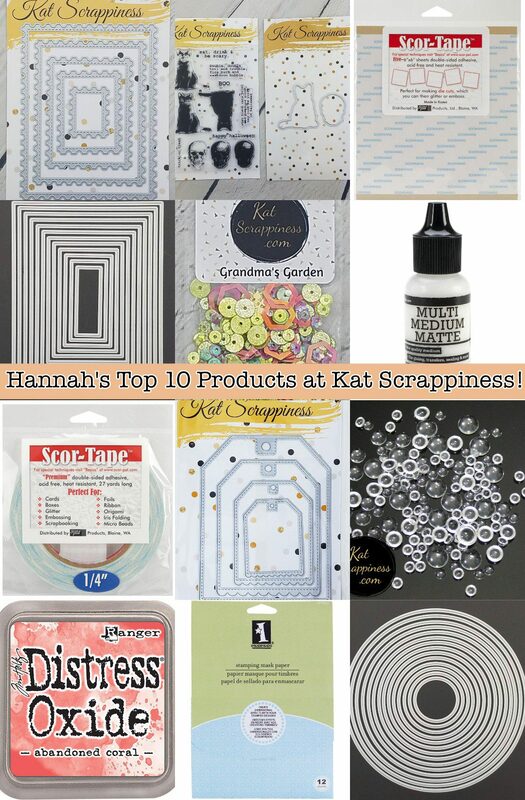 With the coming of the new year, I thought it would be a great time to go over my top 10 products that can be found in the Kat Scrappiness shop! 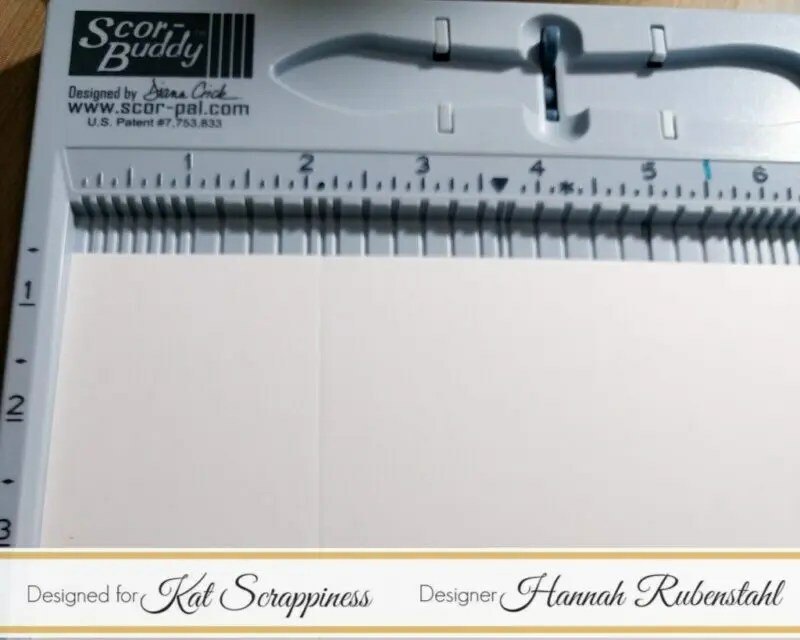 Kat carries her own brand of stamps, dies, and sequins, but she also carries a variety of other products! My list combines all of these to bring you, what I think, is the best of the best! I have a video for you, showcasing these products down below, first here is a collage of my faves! I also have a card for you! I made this card last year, and I wanted to create a video for it, but never got around to it. I wanted to share it anyway because I thought it was clever and fun! 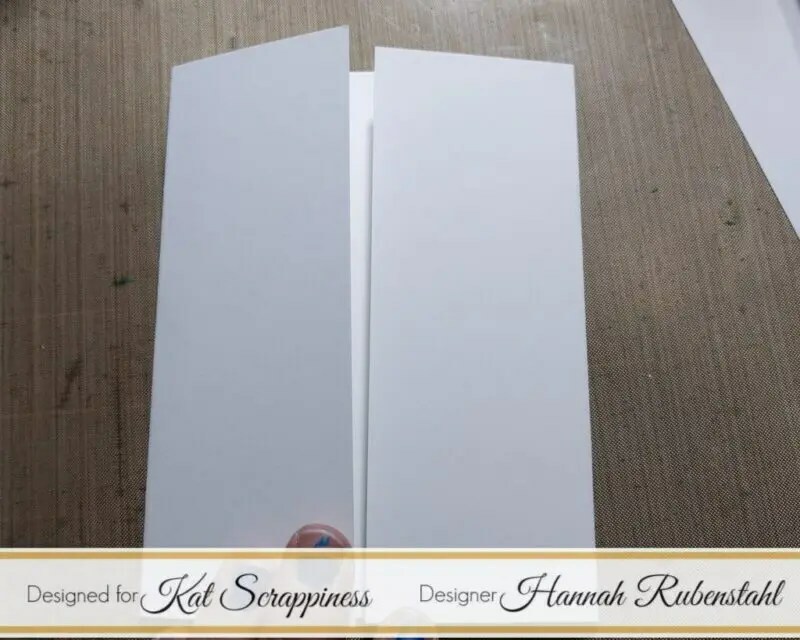 I started by taking an 8.5″ x 5.25″ piece of paper and scoring it so that the front panel of my card was bisected to open in the center. Then I took Kat’s Fancy Scalloped Stitched Border Dies and just cut off the edge of the two center portions. I took some Lawn Fawn paper, cut it down so that it covered the front panels, and also cut with the Fancy Scalloped Edges. I covered the inside with blue cardstock, in order to help hide the scars my die cutting machine left on the underside of my white paper and to add an extra something special on the inside. I needed to offset the fold line so it would fold correctly, which took some trial and error. I also traced the curve of the scalloped edges so that that design element would carry through to the inside. 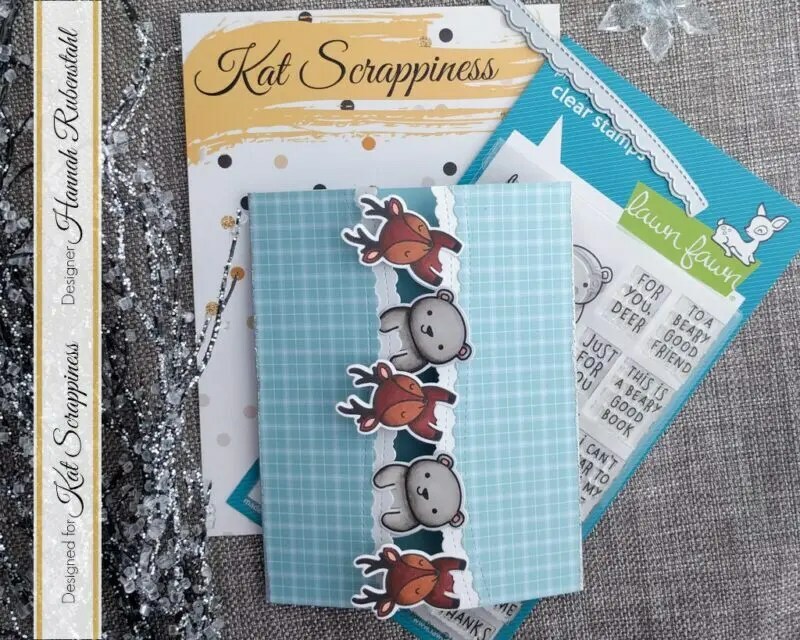 I colored and die cut these ADORABLE critters from Lawn Fawn using the For You, Deer Stamp and Die sets and snuck those in between the layers of paper, being careful that they overlapped and didn’t cross in front of each other. I used my tape runner to adhere the paper and the cardstock panels, however, I used just a touch of Scor-Tape to help adhere the critters. 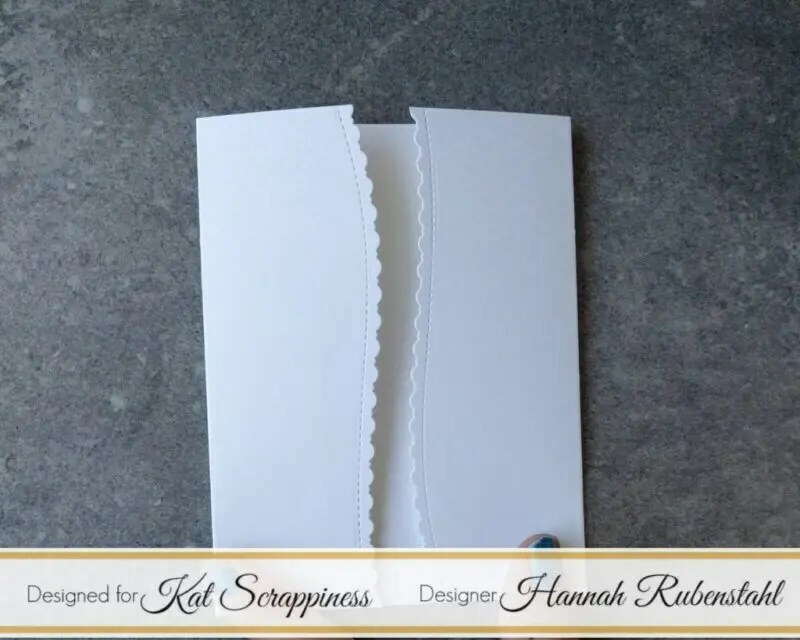 I silver embossed the outside edges of my card to help give a more finished look with Hero Arts Silver Embossing Powder, however, this embossing powder from Lawn Fawn would be a perfect substitute! I also silver embossed the inside sentiment which is from Hero Arts, a set called Poster Christmas Carols. Whew, that card took quite a bit of math and work, but it is so different that I think it was worth it! I love the inner sentiment, it still works for these cold January days making that Hero Arts sentiment set work outside of just the Christmas season! If you are interested in any of the Christmas themed products I used you can save 30% by using 2017CLEARANCE at checkout! This works from now until the 15th and is only good for Christmas items. If you are looking to save money but aren’t shopping for Christmas items, use HANNAH10 at checkout! Now, back to that Top 10! 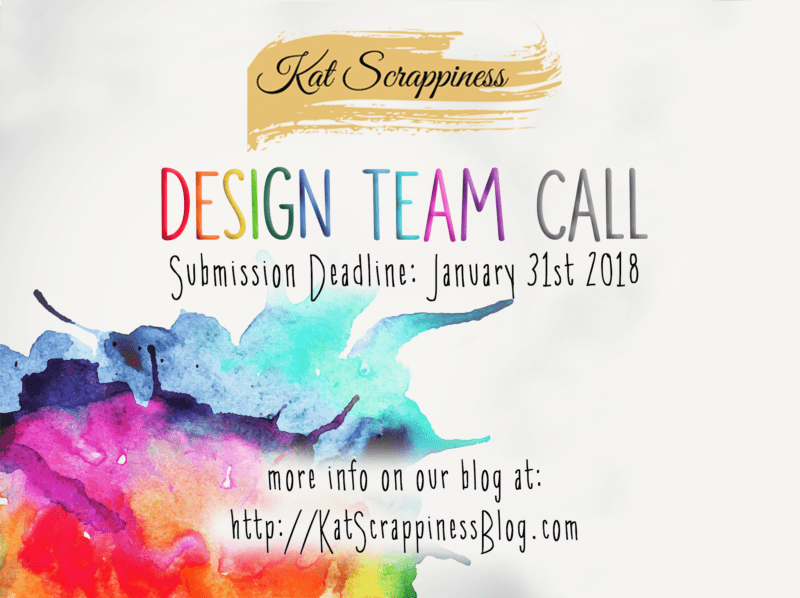 Now that we made it through all that, have you applied to be a part of the Kat Scrappiness Design Team yet? If not, what are you waiting for?!?!?! This design team is so supportive, and Kat is so incredible, you’ll kick yourself for not trying! Thanks for this helpful top 10 and that wonderful, so cute card ! And you’re right, it definitely worth the time you spent on it ! It’s a very unique design card, especially the middle opening.